It is a cross form church with cupola. The northern arm of the cross is shorter and ends up in a adjacent structure with rib vault. The frescoes are preserved mainly in the western arm and are probably of the late 15th and the early 16th century. 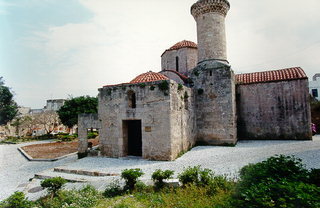 It was used as a mosque during the Ottoman occupation.